Brick By Brick Building Updates: Where Does The Money Go? Brick By Brick is sharing with you how donations are being spent to build St. Dymphna. Below is a more recent update from Mary, the director and head teacher at St. Dymphna Special Needs School. You will see a breakdown of what supplies are being purchased with the money, costs for delivering those supplies, as well as labor costs to build the school. 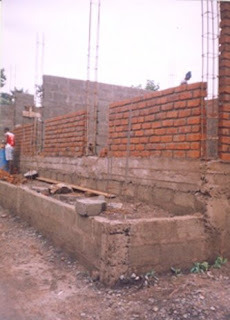 In addition, are new photos displaying the progress of the school. 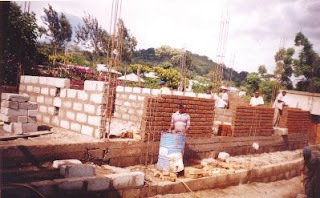 We are proud to share that the walls for the initial portion of the school are nearly completed and they will soon begin the ceiling and second level of the school. 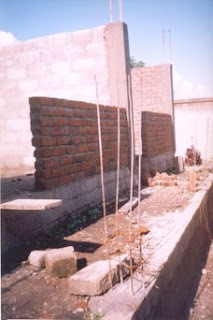 It is because of your gracious donations that we are one step closer to the completion of the school.